The numbers paint a rosy picture of the towers division and highlight the bleak situation at the core telecom business at the same time. For the financial year 2017/18, Bharti Infratel registered 8 per cent annual growth in revenues to Rs 14,490 crore. Bharti Infratel, the towers arm of Bharti Airtel, announced its annual results on Monday. The numbers paint a rosy picture of the towers division and highlight the bleak situation at the core telecom business at the same time. For the financial year 2017/18, Bharti Infratel registered 8 per cent annual growth in revenues to Rs 14,490 crore. Its net profits slipped by 9 per cent to Rs 2,494 crore during the same period. Comparing the financials of Bharti Airtel and Bharti Infratel shows that the subsidiary is expected to generate higher profits than the parent in 2017/18. In three quarters of 2017/18, Bharti Airtel has generated standalone net profits of Rs 839.4 crore. Its consolidated net profits were Rs 1,516 crore. With brokerage firms like Kotak Securities and Sharekhan predicting Airtel to report losses in the fourth quarter - its first in many years - the net profits for the full financial year (2017/18) is unlikely to improve. The matter with Airtel seems gloomy as its revenues and net profits have some component of Bharti Infratel's revenues and net profits. Bharti Airtel and its wholly-owned subsidiaries together have an equity holding of 53.51 per cent in Bharti Infratel. That means Airtel would have been in a worse situation if it didn't own stake in Bharti Infratel. 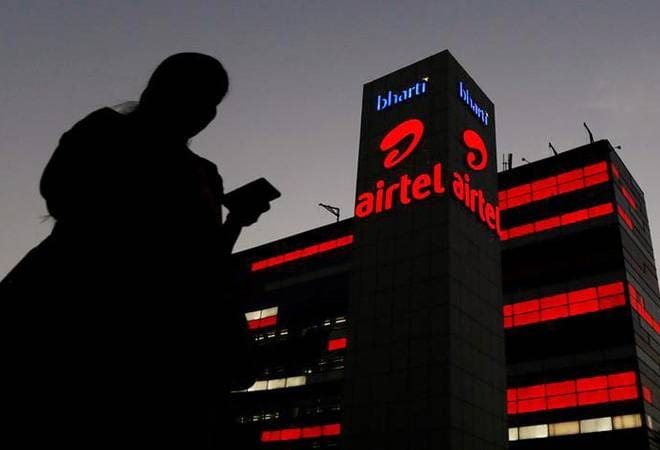 Airtel is trying to consolidate its position in the towers sector with acquiring more stake in Indus Towers, a joint venture between Bharti, Vodafone India and Idea Cellular. Last year, Bharti Infratel's board decided to explore and evaluate acquisition of stake in Indus Towers, with the aim of making it a subsidiary or wholly-owned subsidiary of Bharti Infratel. Currently, Bharti Infratel and Vodafone India own 42 per cent each in Indus; the remaining stake belongs to Idea. In fact, Bharti Infratel has turned out to be a saviour for Airtel in more ways than one. For instance, Airtel divested 83 million shares of Bharti Infratel for Rs 3,325 crore through secondary share sale last year. The proceeds from the sale were used to pare Airtel's huge debt, the company had said in a statement. Unlike the telecom business, where the intense competition is hurting the incumbent operators like Airtel, the towers sector has comparatively better outlook for the next few years. The current consolidation in the towers segment will bring down tenancy ratio - average number of operators using a tower on rent - in the short term but with the rise in data consumption, higher provisioning of in-building solution, and impending launch of 5G (which requires more towers), there's going to be higher demand for towers infrastructure over a longer period.